We’ve received a few questions regarding iPhone 4S availability both in the USA and abroad, here’s what we know so far directly from Apple, as announced at the launch event keynote. First, iPhone 4S is to be released on October 14 with pre-orders starting a week before, the countries with immediate release will also take pre-orders on the 7th of October at midnight. Other countries will have the device on October 28 or later, we have the full list of availability on a per country basis below. Second, there’s a big question as to whether or not 4S will sell out and generate the crowds that prior iPhone and iPad releases have generated. If you are at all concerned about being an early adopter and getting your hands on the new iPhone as soon as possible, you should either pre-order or wait in line at an Apple Store or reseller on launch day. What About China & Hong Kong? Notably absent from this list is Hong Kong and China, and it’s uncertain when either location will get the device officially. 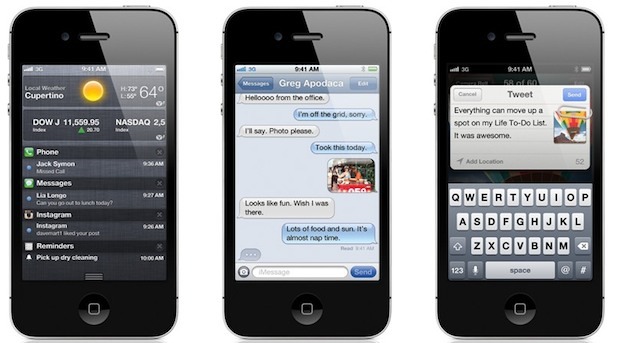 Unofficially, iPhone 4S will almost certainly be available very quickly at a premium price on the grey markets throughout Hong Kong, Shenzen, Beijing, Guangzhou, and Shanghai, due to being manufactured nearby anyway. Apple has said that by the end of 2011, over 70 countries will carry the iPhone 4S on over 100 carriers, so presumably some of the other countries where iPhones are extremely popular, like UAE, India, China, and HK, will fit in somewhere between 28 October and and December of 2011. Any country where the carrier subsidizes the phone will lower the iPhone 4S price considerably, starting at $199, these devices generally come locked to the carrier. Unlocked iPhone 4S devices will be sold separately and outside of contract, but the price will be quite high regardless of whether it’s bought in the USA or elsewhere. If you’re still not sure you want one, check out the devices impressive tech specs and the giant comparison lists pitting the iPhone 4S vs a variety of smart phones, including the 3GS, 4, and even a Galaxy II if you are being tempted by the dark side. Lol. You mean the fake ones? I live in Shanghai. If you mean the real and legit ones, frick no. iPhone 4S release has just confirmed a move to Galaxy S2. Bit of a none event really. Anyone want a cheap 3Gs? One funny comment of the keynote was “no-ones come close to copying it(iPhone 4)” so why all the court cases about Samsung “copying” it? you retard, Samsung infringed on patent. and comment from keynote was no one come close to copying it. implying they still tried to copy, just didn’t do a good job. It’s hard to know what the initial availability will be like in stores, hopefully Apple will be able to meet demand but traditionally the first few weeks (if not months) are hard to get iPhones and iPads. I want to order one unlock iPhone 4S. Please I have been looking all over the web and I want to have one that is unlock. How do I order one Please help.